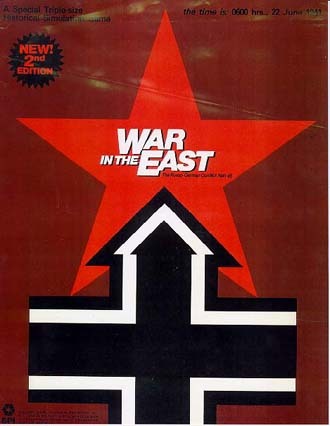 WAR IN THE EAST-WITE2nd, 2nd edition (September, 1976) was extensively rewritten in the War in West format and the two the possessed a shared standard ruleset. Many differences exist between the first and second editions giving the two versions distinctly different flavors. Many consider the 1st edition to be superior as a stand alone game, however its system could not have been integrated in to the War in the West system. 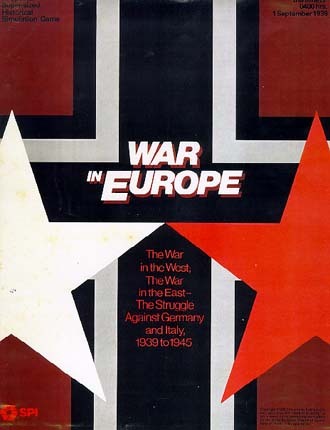 WAR IN EUROPE-BWIE (October, 1976) was the combination of the two games with four rulebooks, Standard Rules, War in the West Exclusive Rules, War in the East Exclusive Rules and War in Europe exclusive rules (which melded the two together) . This was published in both the two level flat box and the SPI big box. 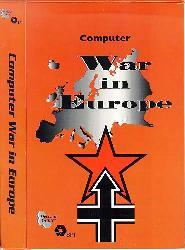 As SPI passed into history, Decision Games purchased the rights to the titles and issued COMPUTER WAR IN EUROPE (1998), a DOS application written in Borland Pascal. Despite its flaws, CWIE enables PBEM play of this massive scale game. Unfortunately the programmer's code is not open source and effectively orphaned as the programmer's life went towards different priorities (Gregory J. Ploussios). However a huge debt of gratitude is extended for making PBEM play of this game popular. The development website for the new version of Computer War In Europe (CWIE2) has been launched. The game will be released in December 2005 by Decision Games. The site will serve as a distribution point for information on the game's development, and as a CWIE2 collection point for feedback from the gamer community on possible changes and inclusions in this latest version from the War In Europe family of board and computer games. If you would like any more information, or to offer any suggestions or comments, please contact Karl Lean, Lead Developer Computer War In Europe II. Decision Games made the bold gamble to publish a boardgame version, WAR IN EUROPE, 3rd edition in 1998? which carried a hefty price of $275. This version, with cleaned up color mapboards and other enhancements were largely purchased by collectors and other BWIE grognards, selling out the quantities on had. Wargame Academy drove the documentation effort with David Scharffe completing the effort. and put the single word 'subscribe' in the message body. Leave the subject lineblank and disable any signature bloc. You will receive an info packet as confirmation of your subscription. As with any email group, it is as valuable as its membership.